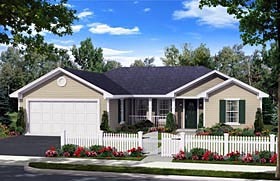 This home provides a great use of space, innovative features, and the popular split-bedroom floor plan. This design features a great room which opens directly into your dining room/breakfast area. From the dining, your family has easy access to the large patio, which can be easily built as covered or left open to enjoy the great outdoors. Looking for storage space? This home features large bedroom closets. 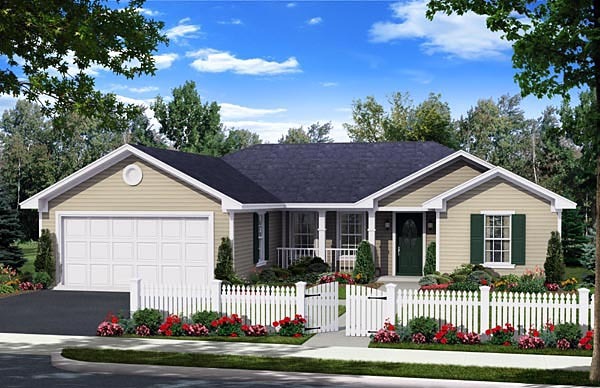 Make this your family's next home! Answer: Hello, Every room has measurements shown, except those that were too small to physically add the text. The master bath is 5'x9' and the hall bath is 8'x5'. The two bedroom closets are 8"x2-6". Have a great day.